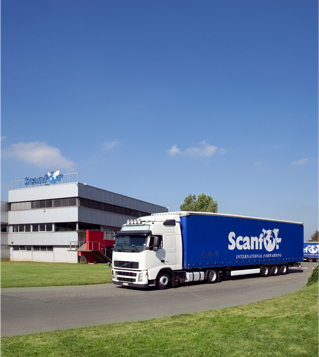 Serviceminded, flexible, versatile,... that is what Scanfor stands for. We are active on the Scandinavian and East European market. Furthermore we have daily departures of full loads, partial loads and groupage. Focusing on personal service we can offer transports to almost all destinations. Our head office, situated in Wommelgem (Belgium) in cooperation with partners and our branch offices in Finland, Estonia and Sweden, enables us to give fast service to competitive prices. Our quality policy is the foundation to our customer relations and special transports.